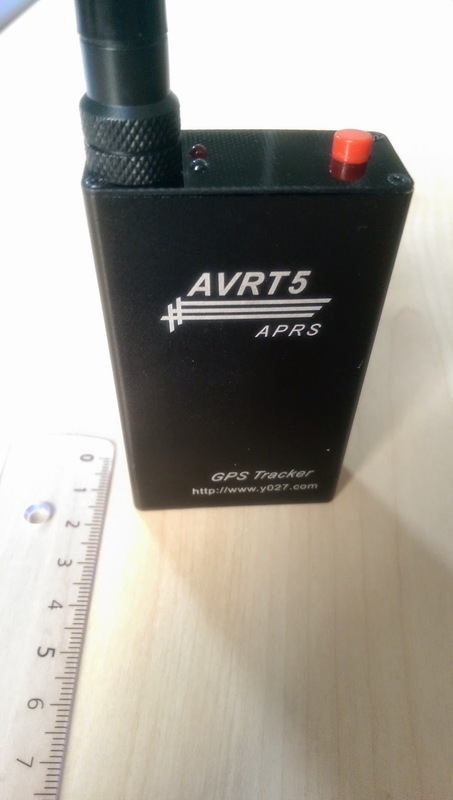 With the help of one of my colleagues @ QRL we measured the HF signal (144.800MHz - European APRS QRG) of the AVRT5 APRS tracker with a R&S Spectrum analyzer (3kHz-7GHz). 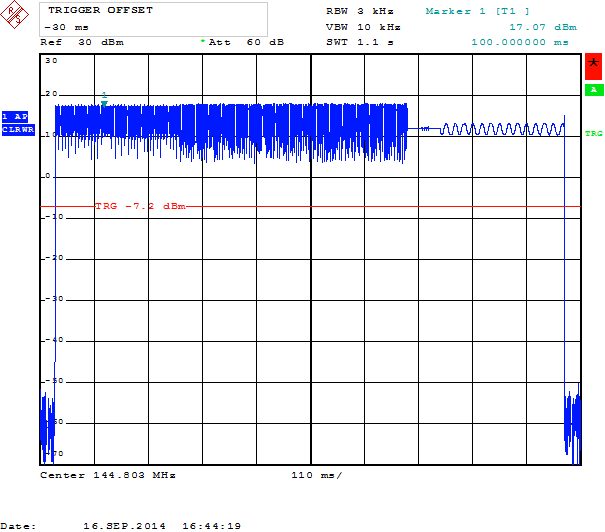 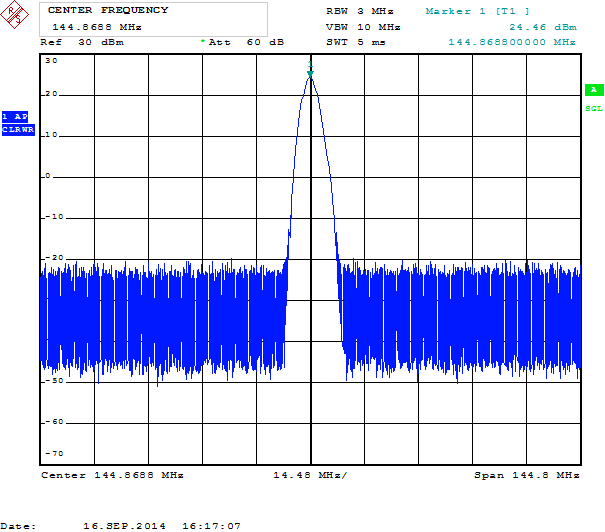 All measurements were made with a 6dB attenuator and 1m RG58CU between the Tracker and the Analyzer. 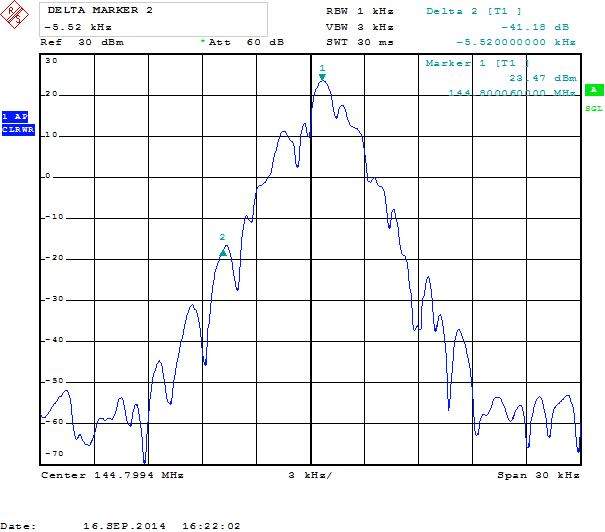 Harmonic frequ: The 1st harmonic at 289.7MHz has a delta of -9.13dB. 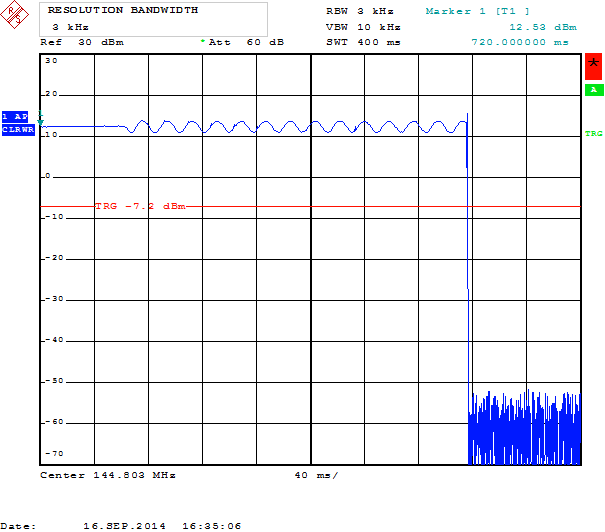 That is too high for using it for a permanent digi. 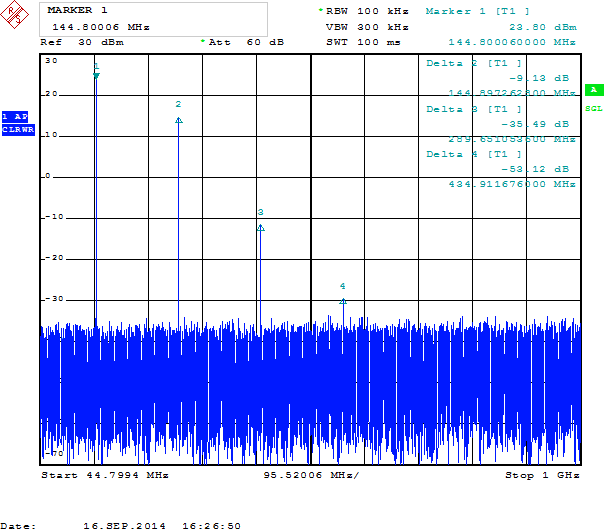 A filter is needed to further lower the harmonic signal.